One of the indie darlings of the last few years has been Shovel Knight; a decidedly modern platformer with a real retro spirit. It has also been so popular because the developer, Yacht Club Games, has been so generous and supporting of the community. Case in point; the team has just announced Shovel Knight Showdown, an all-new fighting game entry into the franchise, and existing Shovel Knight fans will be getting it for free. 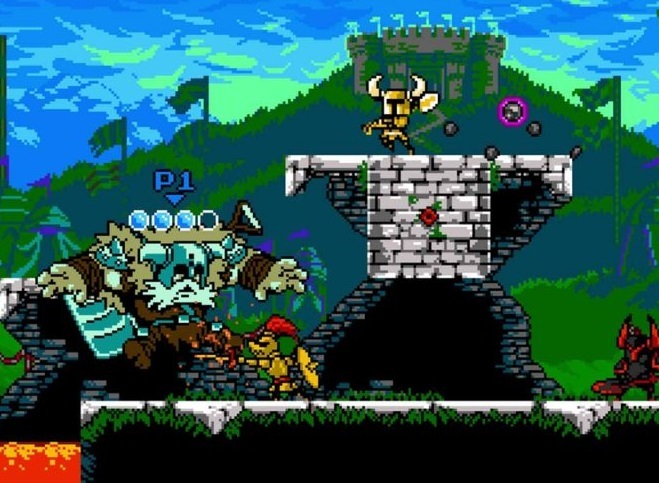 As long as you have Shovel Knight: Treasure Trove on Nintendo Switch, PlayStation 4, Xbox One, PlayStation 3, Xbox 360, Wii U or PC, you'll get this neat looking platformer fighter as a free update (it's also a standalone purchase if you don't). It's a fully-featured little game too, with over 16 playable characters, and for up to four players for some great in-in rumbles. There's also a story mode a minigames thrown in for good measure. We don't have a release date just yet, but this hands-on that IGN got with the game looks ace, and very much up to the standard of everything else that the Yacht Club Games team has come up with in the past.